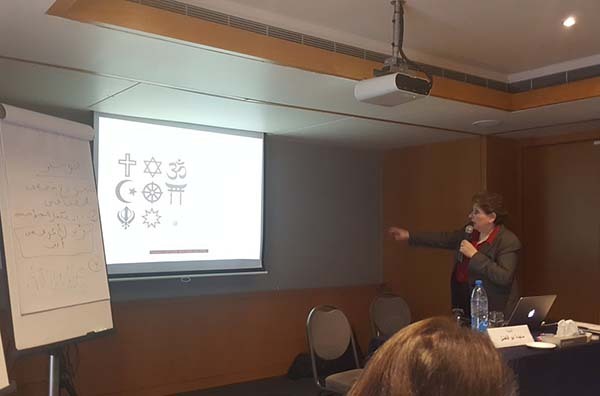 Reforming religious curricula is incomplete in the Arab world and must be revisited, Media Unlimited director Magda Abu-Fadil told a Beirut conference during a panel on incitement to violence on social media and youth radicalization. Abu-Fadil was speaking at “The International Conference on Youth and Information and Communication Technologies: Preventing Violent Extremism in Cyberspace” in May 2017. It grouped academics, media, security, development, and other specialists to discuss, recommend and share tangible solutions to the spread of aggressive behavior in reality and through various online platforms. Understanding the discourse involves clear definitions of key words and the loaded meanings used to describe what we face, experts said. They include violent radicalism, radical Islam, extreme Islamic radicalism, national terrorism, national threat, extreme violence, jihad, indoctrination, terrorism, white supremacy, neo-Nazism, extreme right, extreme left, religious extremism, fundamentalism, anti-Semitism, nativism, Islamophobia, eco-terrorism, inspired by Al Qaeda, inspired by ISIS, and anti-capitalism. The event, organized by the United Nations Educational, Scientific and Cultural Organization (UNESCO), the Lebanese National Commission for UNESCO and the Information for All Program, was a follow-up to an earlier conference in Quebec City, Canada, in November 2016 during which Abu-Fadil spoke on female radicalization. 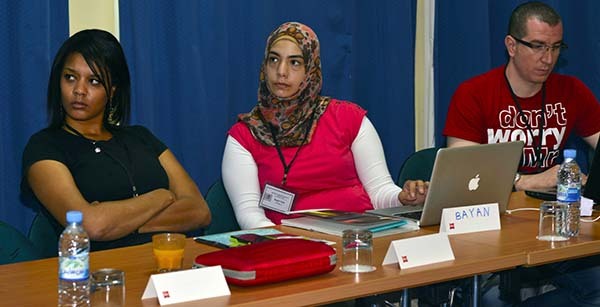 Participants hailed from Algeria, Botswana, Egypt, France, Ghana, Grenada, Iran, Iraq, Jordan, Kuwait, Lebanon, Morocco, the Netherlands, Oman, the Russian Federation, Senegal, Sudan, Syria, Tunisia and Qatar. The conference’s principle objectives were to identify the means and ways the Internet is being used to spread, hatred, discrimination, radicalization and violent extremism. It also aimed at identifying effective measures to prevent and counter the online propagation of violence, as well as presenting/sharing best practices in using the Internet to promote a culture of peace. Why do young people, including girls and women, turn radical and what role does the Internet play in their radicalization? 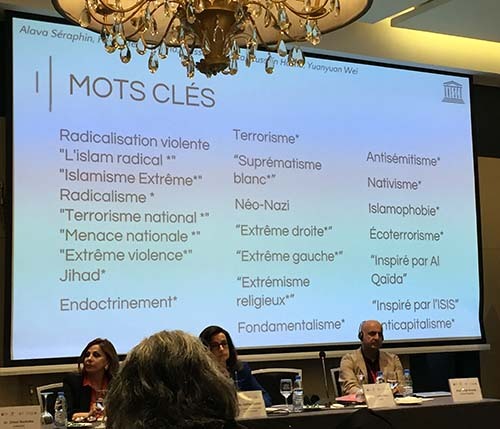 A question Media Unlimited director Magda Abu-Fadil tried to answer in the workshop “Gender Perspectives and the Process of Radicalization” at the UNESCO conference “Internet and the Radicalization of Youth: Preventing, Acting and Living Together“ in Quebec, Canada in November 2016. She referred to research by Lebanese sociologist Mona Fayyad who said high crime rates in crowded urban areas, notably poverty belts surrounding major cities, often go undetected by social monitoring and supervision, leading to an increased possibility of crimes and violence alongside a collapse of traditional structures. Fayyad focused on Syrian refugees and migrants in Lebanon and their exposure to untold horrors and injustices possibly leading to deviant behavior. 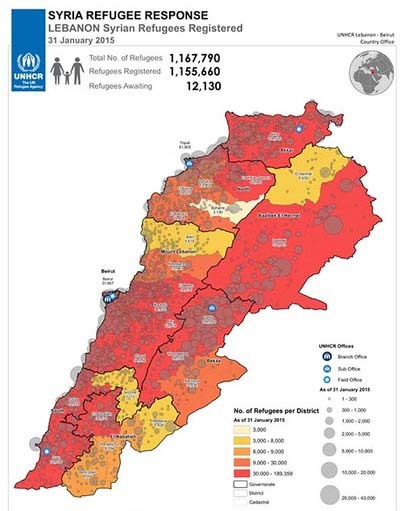 Lebanon hosts upwards of 1.5 million Syrian refugees and migrants who escaped the war in their country, depending on whose figures one believes. According to women experts on a BBC Arabic TV show, many of the recruits fighting in Arab countries come from abroad. While home grown female jihadists in Iraq exist, for example, many others hail from Tunisia, Yemen, Egypt, Europe and Russia. One researcher said women recruits exhibited character weakness, a proclivity to violence, a need for escape (from their reality), and were in search of alternatives. Sadly, authorities in many countries treat the symptom, not the cause, of radicalization, Abu-Fadil said. 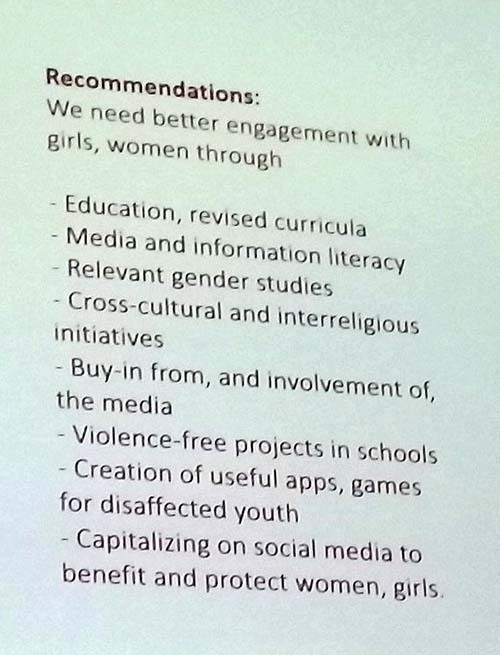 What draws women and girls to extremist organizations? Females join ISIS ranks to follow boyfriends, husbands, siblings or other family members. In most cases, it’s under the false pretense of a better, holier and more exciting life. To their horror, they discover it’s all a hoax. Among the non-Muslim-majority countries, Russia, France, and Germany supply the largest numbers of ISIS’ foreign workforce, a World Bank study said. 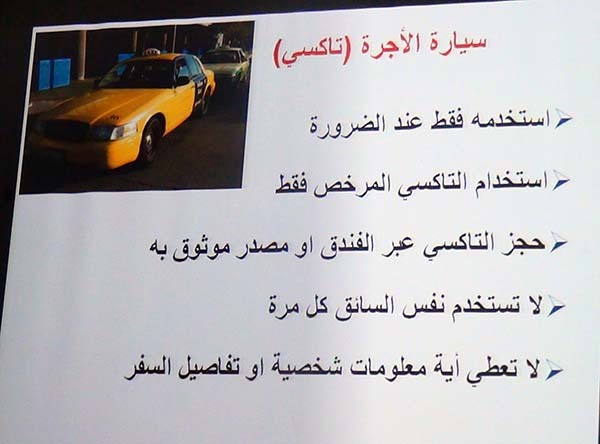 A writeup of Abu-Fadil’s presentation is available here. 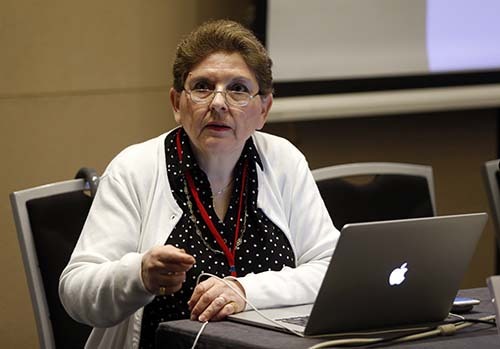 Media Unlimited director Magda Abu-Fadil helped train Lebanese, Jordanian and Iraqi journalists in Beirut on the mechanics of covering religion, religious diversity and freedom of expression during a much-needed five-day workshop. They had been given a solid dose of religious, philosophical and academic arguments and definitions in previous days by men of the cloth, university faculty members and other experts in a mini-course organized by the Adyan Foundation, an organization promoting interreligious studies and spiritual solidarity. Abu-Fadil’s sessions in October 2016 focused on the essence of covering religion, the research involved, the fieldwork, the critical thinking needed for such assignments, and the hazards involved. 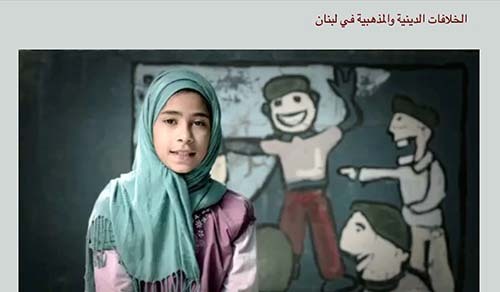 Videos included how sectarian provocation in the media was monitored in Lebanon in 2015, how religious differences are interpreted by children (based on their upbringing), how to detect bias in reporting, religious forgiveness, and tolerance. The tips she provided included reporting accurately about religious groups and matters, not assuming anything, being fair and balanced, familiarizing oneself with religious laws where they apply, providing the necessary context to any story and adding the economic, political, social and cultural dimensions to reports. She also cautioned them about politicians’ use of religious verses to further political and possibly nefarious agendas. Abu-Fadil moreover focused on media ethics in the religious context with countless caveats on pitfalls that could sink journalists like inciting hate, misusing social media, and disseminating rumors. A powerful statement and title of a 385-page study on hate speech and sectarianism in “Arab Spring” media, wrote Media Unlimited director Magda Abu-Fadil. 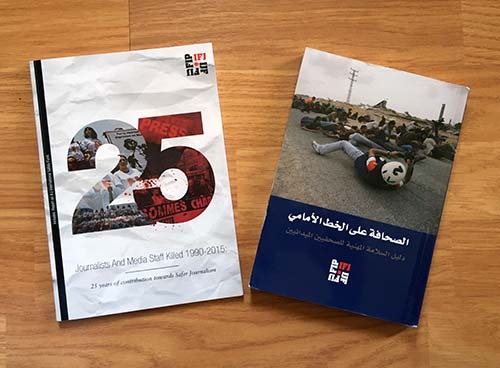 It is also a reflection of countless Arab world afflictions that was published in 2014 by the Amman-based Center for Defending Freedom of Journalists (CDFJ). 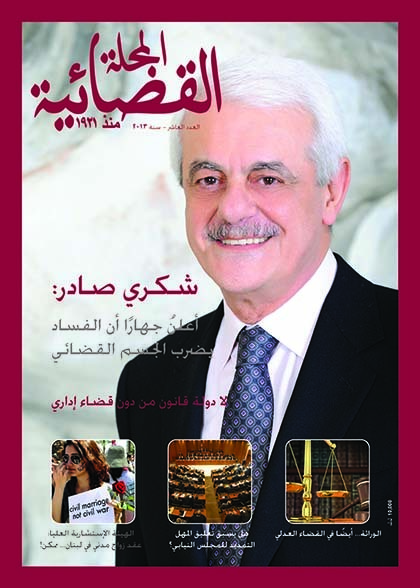 “In the Arab Spring’s crisis, it is hard to provide a stamp of innocence to exonerate Arab media from responsibility in the spread of hate speech, since most are co-conspirators in their practice, or in their silence,” wrote CDFJ Executive President Nidal Mansour in the book’s foreword (page 9). 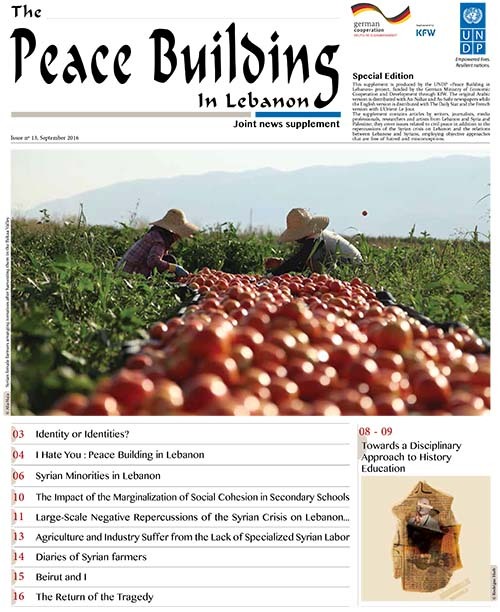 Read the full article that appeared in a newspaper supplement on peace building in Lebanon produced by the United Nations Development Program in English for The Daily Star [PDF], in Arabic for Annahar and Assafir [PDF] and in French for L’Orient-Le Jour [PDF]. 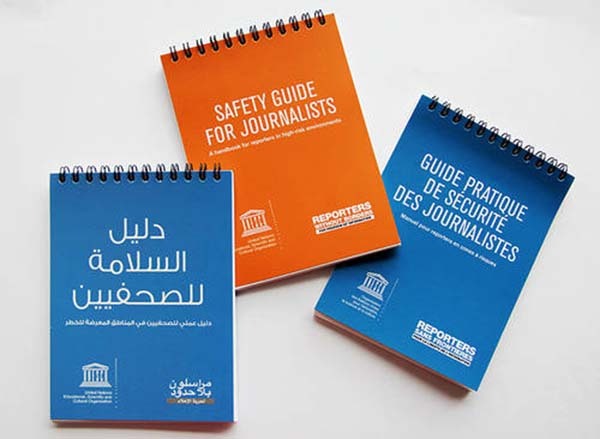 A course on safety for journalists is a must and Arab universities should incorporate it in their media programs, experts said at a two-day UNESCO conference in Beirut. “News organizations should train journalists and insist on safety measures and the use of proper equipment,” said Yazbeck Wehbe, a veteran of LBCI TV News who also teaches journalism at several Lebanese universities. Academics from Lebanon, Syria, Palestine, Jordan, Egypt, Iraq, Tunisia, Morocco and Oman went over a draft of a semester-long course to be taught as one required unit, as an elective, or, from which they can select components to incorporate in other relevant media courses. Speakers included a security expert as well as four noted Lebanese journalists – two who work locally and two whose international track record in covering conflict zones is legend. The course syllabus includes an overview and raison d’etre for safety as well as content on planning and personal safety, risk assessment, travel security, health and health care in hostile environments, demonstrations (and riots), natural disasters, gender safety, digital security, ethics, international humanitarian law, and safe investigative reporting. Patrick Baz (a/k/a “Boom Boom” Baz), a world-renowned photojournalist whose career is linked to Agence France-Presse (AFP), offered valuable insights on how he covered some of the hottest spots in the Arab world and what lingering impact it’s had on him. 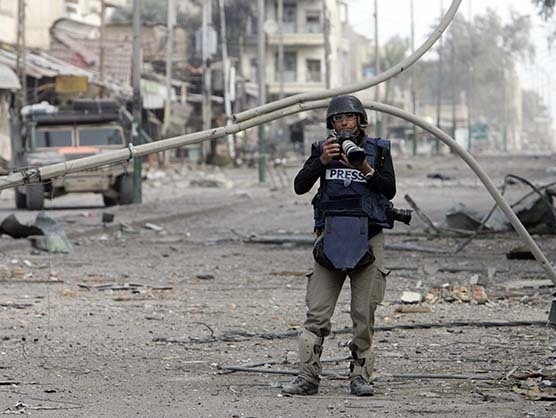 “Being a correspondent is going to places and sometimes bearing witness to war crimes,” said Samia Nakhoul, a Reuters veteran and Middle East editor who was seriously injured and almost died when U.S. tanks lobbed shells into the Palestine Hotel in Baghdad where foreign media were based during the 2003 invasion of Iraq. The Beirut gathering came 10 days after UNESCO held a conference on “News Organizations Standing Up for the Safety of Media Professionals” at its Paris headquarters that drew some 300 international media leaders focused on safeguarding their staffers and ending impunity for attacks against them. The course will undergo revision before being made available to all Arab universities and the public at large. Media Unlimited director Magda Abu-Fadil, one of the experts involved in creating this course, moderated sessions at the Beirut conference. 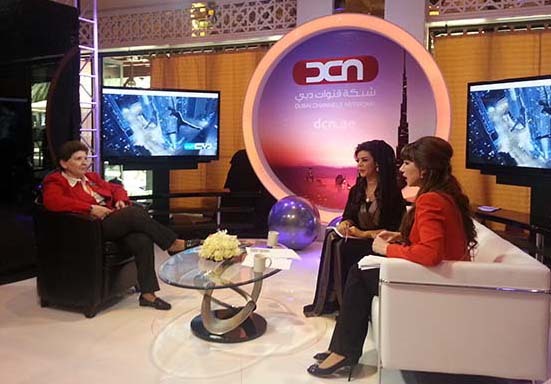 Arab media have made progress but some still need work to overcome issues of journalistic professionalism and ethics, Magda Abu-Fadil told Dubai TV in May 2015. “We see too many examples of unethical behavior in broadcast outlets, online and in print,” the Media Unlimited director said during an interview at the Arab Media Forum. Given the highly charged environment in several Arab countries, media have been reflecting the political and sectarian splits by fanning the flames through sedition, unsubstantiated news reporting and slander, she added. She also noted that schools of communication and journalism should do a better job of equipping their students for the ever-changing job market by providing them with flexible skills and not just focus primarily on outdated theories or research that have little practical application. Hard work, preparation, a solid contact database, a nose for news, courage and ethics go into shaping foreign correspondents whose tools of the trade may have changed in a multimedia world, but whose mission to inform remains the same. Media Unlimited director Magda Abu-Fadil provided 28 journalists and activists with tips on how to function as foreign correspondents and debunked myths about glamour and fame promoted in countless Hollywood movies. 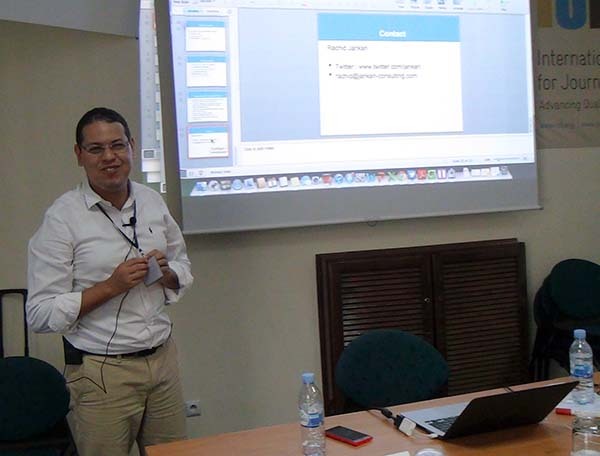 The training in Morocco was part of the “Building a Digital Gateway to Better Lives” boot camp organized by the Washington-based International Center for Journalists. It focused on cross-border and regional issues and involved investigative journalism team projects centered on child marriage, child labor, prostitution, human trafficking, prescription drugs on the black market, organized begging, cyber crimes, and illegal immigration. Abu-Fadil presented examples of noted Arab and Western foreign correspondents, the beats they cover, working conditions, the costs and budgets required to maintain foreign bureaus and staffs, the transition to digital journalism, competition from citizen journalists, and the need to verify all data disseminated through social media and online sources. She also stressed the importance of being multilingual, of being well versed in the history, geography, politics and social environment of the countries the correspondents cover, of the need to understand the economics and statistics of these countries, and how best to cover news conferences and interviews with foreign officials. 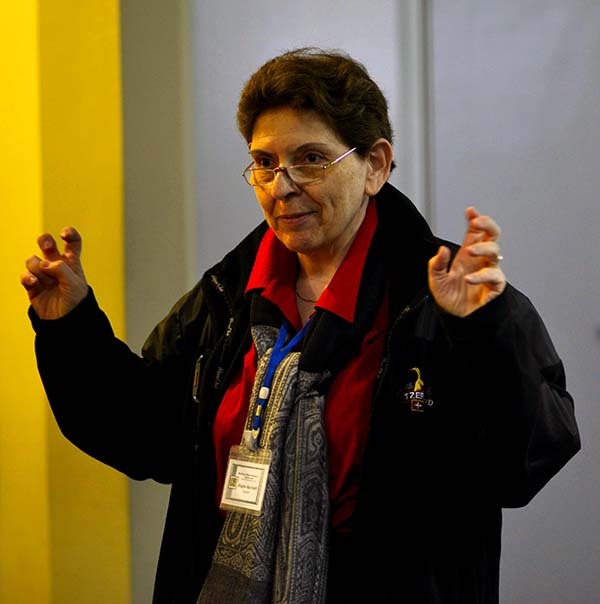 Abu-Fadil touched on first aid, security and safety measures reporters on foreign assignment should learn, which veteran Egyptian journalist Abeer Saady later tackled in depth. Also on hand was Moroccan IT expert Rachid Jankari to discuss mobile phones and cloud computing for use by journalists. Senior strategist at National Public Radio, self-described real-time informational DJ and occasional journalist Andy Carvin also guided participants in the uses of social media to cover regional issues. 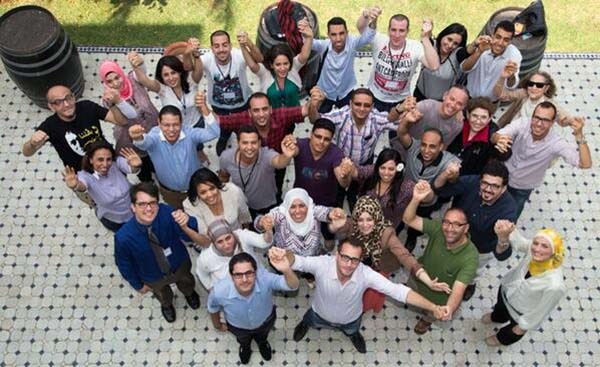 The September boot camp in the Moroccan capital Rabat grouped participants from Iraq, Lebanon, Egypt, Morocco, Yemen, Jordan and Algeria. Arab countries need investigative journalism and access to information laws to combat corruption, according to a report in Lebanon’s Judicial Magazine. 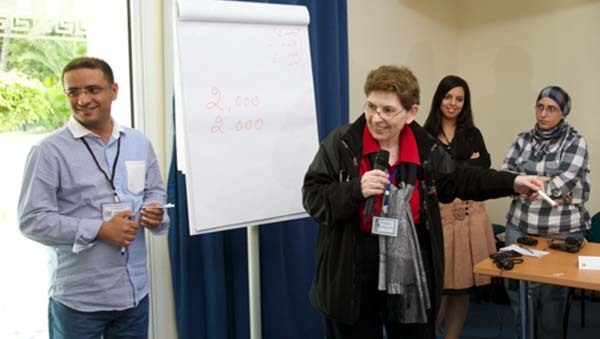 “Suppression is the basis of corruption,” Rouba El Helou quoted Arab reformist thinker Abdel Rahman Al Kawakbi as saying in an article featuring a workshop on corruption coverage conducted by Media Unlimited director Magda Abu-Fadil. 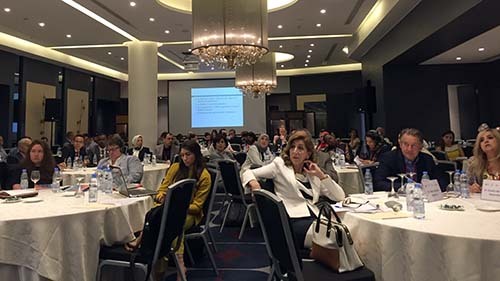 The training was part of a conference organized by the UN Development Program (UNDP), ACIAC and the Lebanese Justice Ministry. 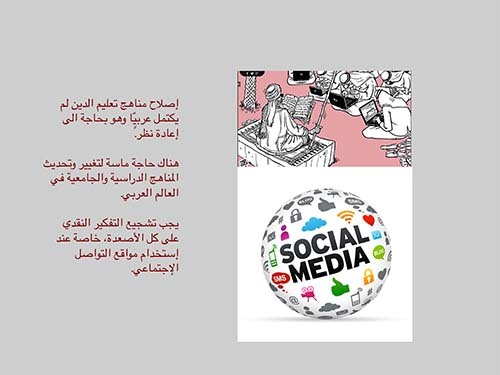 An article by Media Unlimited director Abu-Fadil entitled “Arts: Women Journalists and Women’s Press: Central Arab States” [Arts Women Journalists and womens press central arab states Abu Fadil] was selected to be used as part of the Encyclopedia of Women and Islamic Cultures’ Public Outreach Project. The outreach project covers a range of community organizations, including K-12 teachers and the media, with a goal of disseminating knowledge about women and Islamic cultures. The project is funded by a Henry Luce Foundation grant, and the public outreach is organized by EWIC’s General Editor, Suad Joseph as well as Associate Editors, Bahar Davary, Marilyn Booth, Sarah Gualtieri and Elora Shehabuddin. 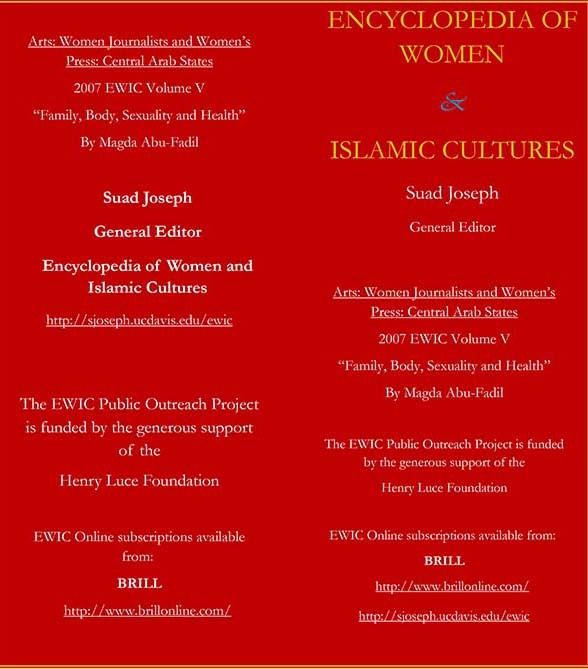 As part of the project, the article published in 2007 will be made available on the Encyclopedia of Women and Islamic Cultures and General Editor’s website. It will also be published as a brochure and in brief format to be handed out to local agencies, NGOs, schools, religious institutions, and interfaith organizations. Dr. Suad Joseph is Distinguished Professor of Anthropology and Women and Gender Studies at the University of California, Davis. Arab women are making great strides in their use of social media, often outrunning their male counterparts on Twitter, according to studies. 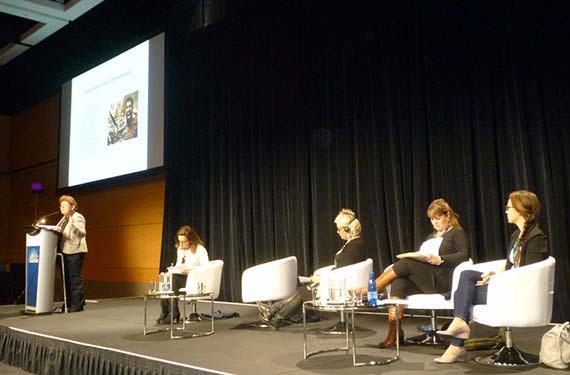 The shift from traditional to digital, social and interactive media is a natural for women, notably in the Arab world where conservative societies have been slow to accept females in high visibility roles, Media Unlimited director Magda Abu-Fadil said. 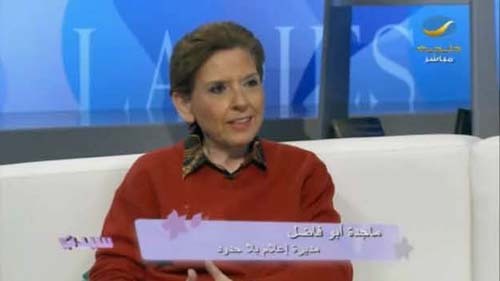 “Thanks to such media, you feel women have a presence, are speaking out more, communicating more, interacting more with their societies, and perhaps with people they don’t even know, and have proved themselves,” she told Maysaa Al Amoudi on the Rotana satellite channel show “Sayyidati” (My Lady). Women have been able to reach far wider audiences than they would through traditional media, she explained, adding that they have to develop by mastering different social media tools and platforms.